GoNoodle is a fantastic to be used on a whiteboard/projector to give students "brain" breaks throughout the school day. This is done by interacting w/ three different videos/activities: Airtime, Run w/ Us, and Maximo. Integrating GoNoodle into the classroom has a positive effect on students and helps reenergize them to maximize their potential throughout the day. 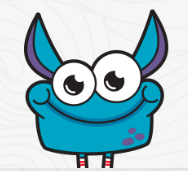 I highly recommend checking out GoNoodle by clicking here!!! !